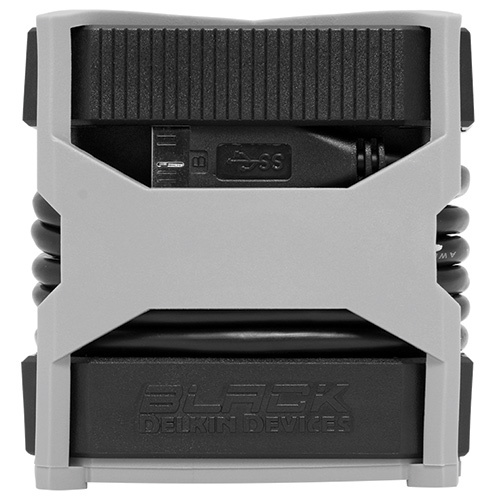 Poway, CA—Delkin Devices announced the newest addition to its lineup of Black products: the Delkin Black USB 3.0 rugged memory card reader. 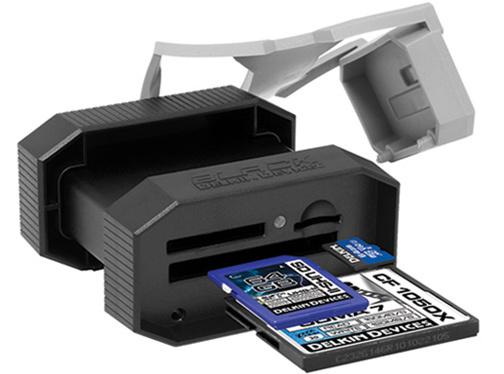 The new reader includes UHS-I and UHS-II SD slots as well as a microSD-compatible slot. Delkin is a manufacturer of flash storage solutions and camera accessories. Combining an industrial design with ultrafast USB 3.0 transfer rates, the Delkin Black reader is built to endure the most strenuous shooting environments. With an aluminum-plastic design, it takes advantage of stronger materials to offer ruggedized protection and extend its lifetime. A rubber cover provides protection against bumps, impact, water damage, dust and other forms of debris. The reader’s design also includes a wraparound cord that tucks into the rubberized cover for storage. 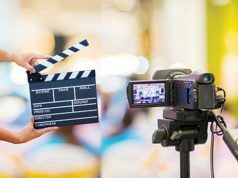 Specifically built to handle the high-performance demands of the latest generation of memory cards used in the broadcast, cinema and photography industries, the reader has three card slots. 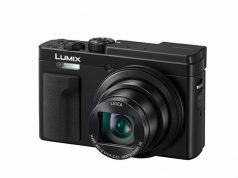 It provides storage for up to one SD card, one microSD card and also one CompactFlash (CF) card. Both SD and microSD slots utilize the superhigh-speed performance of UHS-II cards. Furthermore, the CF slot incorporates UDMA 7 and VPG (video performance guarantee) support. Large files, such as high-res RAW images as well as 4K, 2K and 3D video, can be offloaded efficiently at speeds up to 500MB/s. That is 10 times faster than USB 2.0. The improved user workflow reduces transfer time and allows for quicker file viewing and editing. The reader also allows for data transfer between cards in the reader. As a result, users have the ability to back up in multiple places. The added ruggedness of Delkin Black products has allowed Delkin to offer a built-in insurance policy for the cards and memory card readers. The company calls it their 48-Hour, No-Questions-Asked Replacement Guarantee. 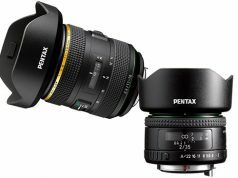 Delkin Black products are sold exclusively through authorized camera stores in the U.S. and Europe; they are not available online.